It has remained cold with freezing at most levels. 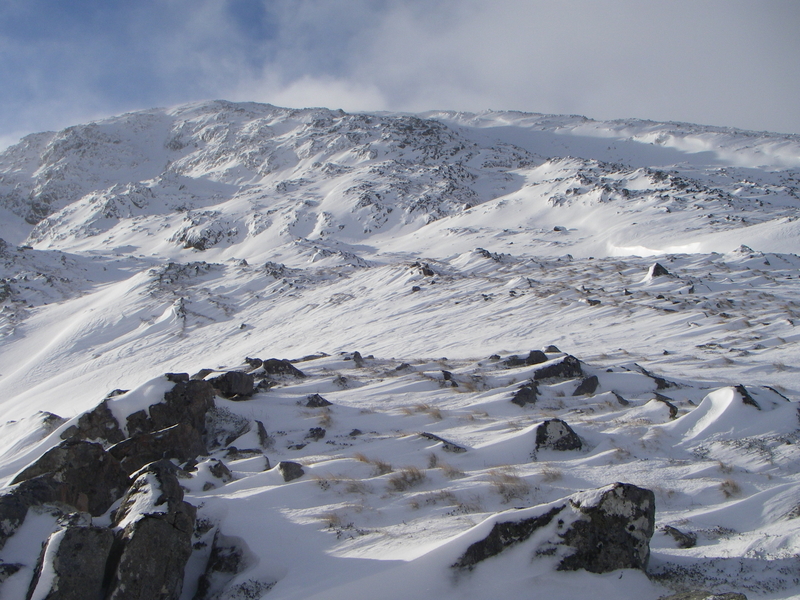 New snow fell overnight becoming mainly dry today. 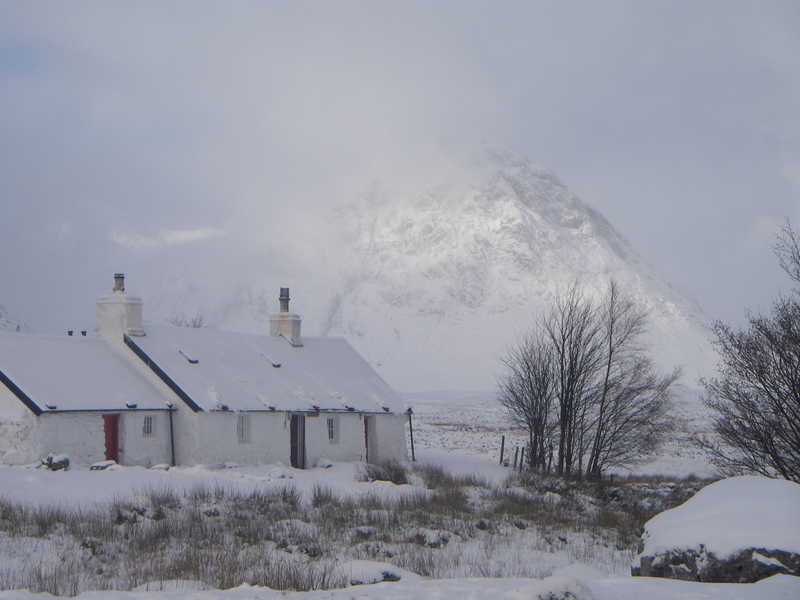 Blackrock Cottage with Stob Dearg, Buachaille Etive Mor behind. Drifting and soft windslab on North Easterly aspects. 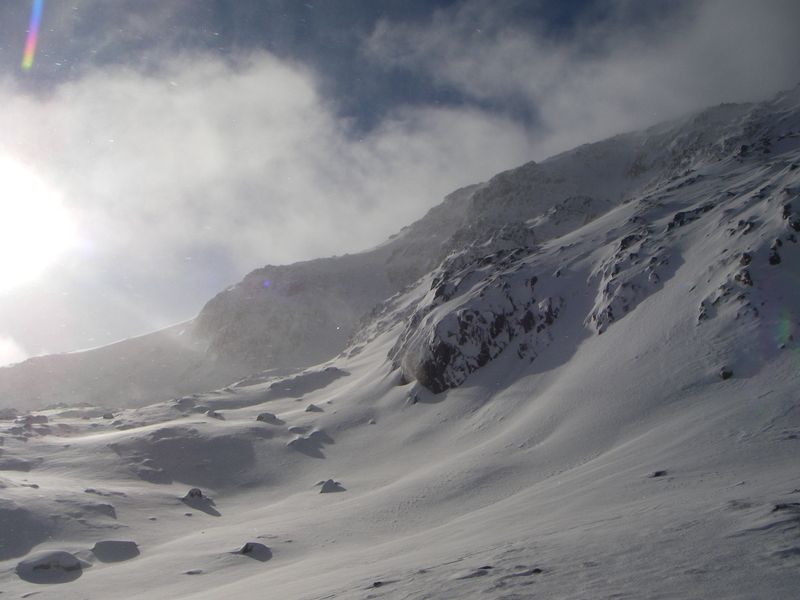 Meall a Bhuiridh. 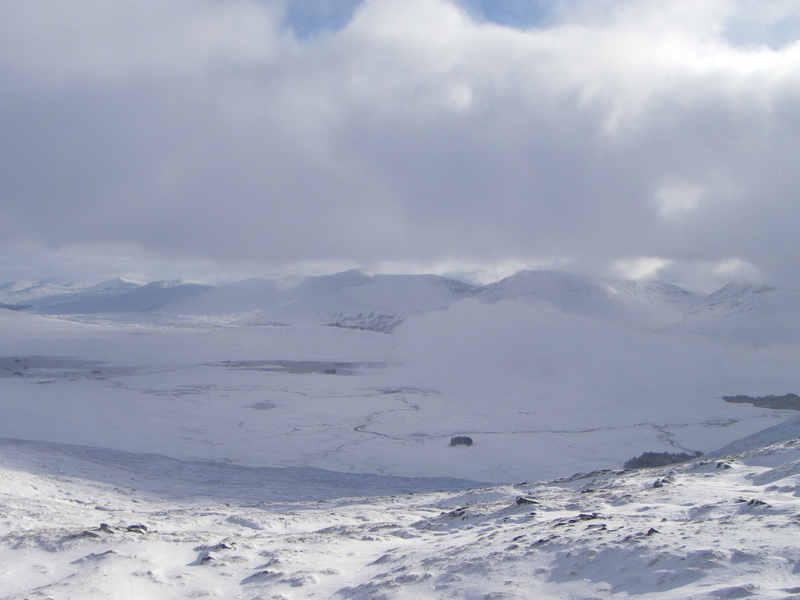 Looking East from Meall a Bhuiridh over Rannoch Moor.